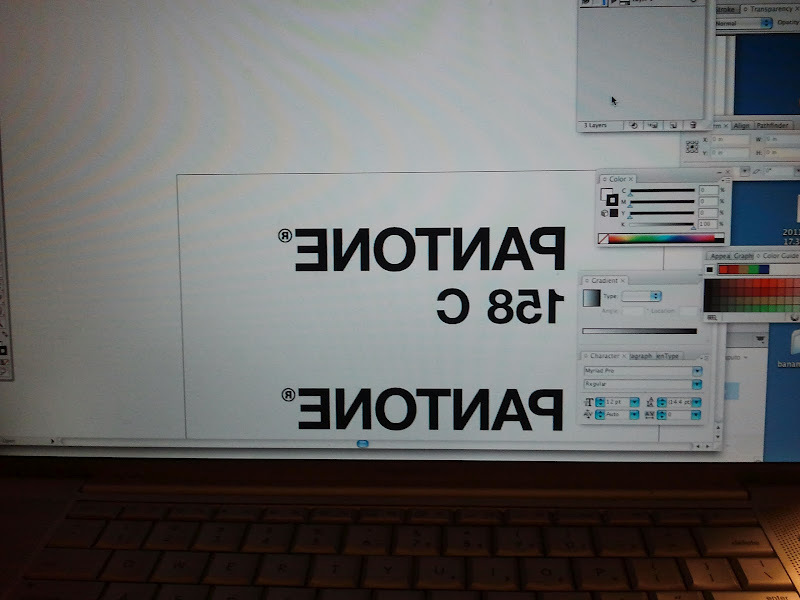 Some of you may be familiar with Pantone®. It is a color system for people that work in the visual arts to specify color during production. 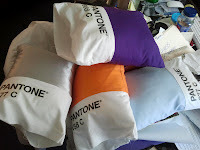 Pantone can be used in graphic design, textile design, fashion design, product design, etc. If you need a specific color matched in any kind of production, you are probably referring to a Pantone swatch book. 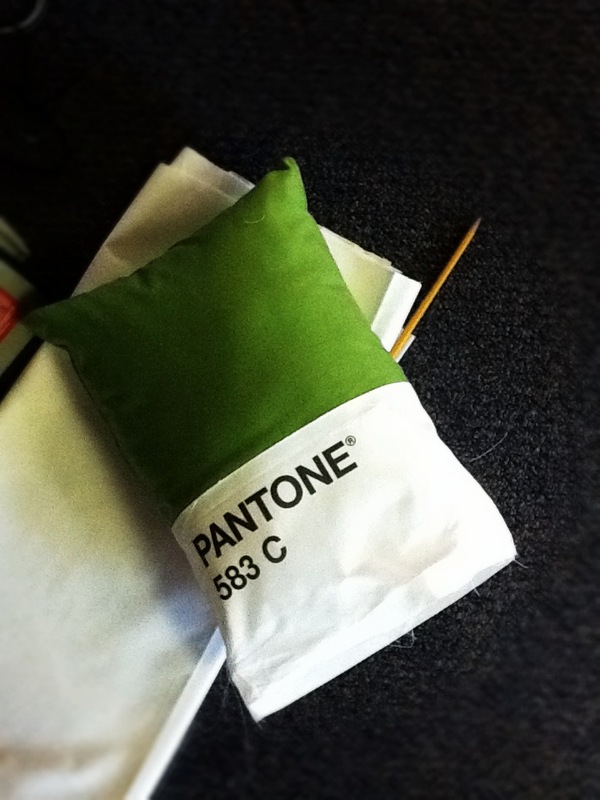 And Pantone has started to creep into the mainstream culture, and the company has noticed. Now they offer all kinds of fun products in the Pantone Universe Store that plays with the shape and design of Pantone color chips in various things. So when we began to spruce up our ad agency's office space, we went to the Pantone store to perhaps get some textiles, mugs or just ideas. What we really wanted were accent pillows for seating in the space. Sadly, none exist ANYWHERE. 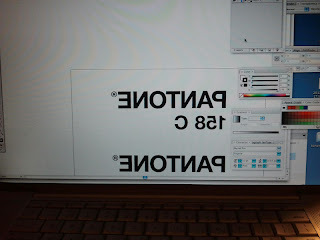 Not on Etsy, the Pantone store or any other home store. So my friend and Associate Creative Director Rachel and I looked at the chips in sadness and then had a Eureka moment. We could easily make them! We just needed the right pillow proportions and some iron on transfer paper to mimic the type, and we had Pantone chip pillows! Below is what you will need if you make them how we made them. We think they are pretty fun and hip. Easily add designer color to your room by making a few yourself. The color of the year was recently announced at Tangerine Tango! We chose chip colors that matched our space, then brought the chips to the fabric store so the fabric matched the numbers we would be ironing on them. First set your Pantone type. Measure your space on the pillow, and set the type in Akzidenz Grotesque the way the chip is set. Use it as a guide on how to type it all out. 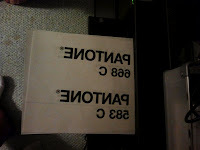 We were able to fit copy for two chips on each sheet of transfer paper horizontally. Now "mirror" the copy blocks so they look reversed. Print the copy on the iron on transfer. 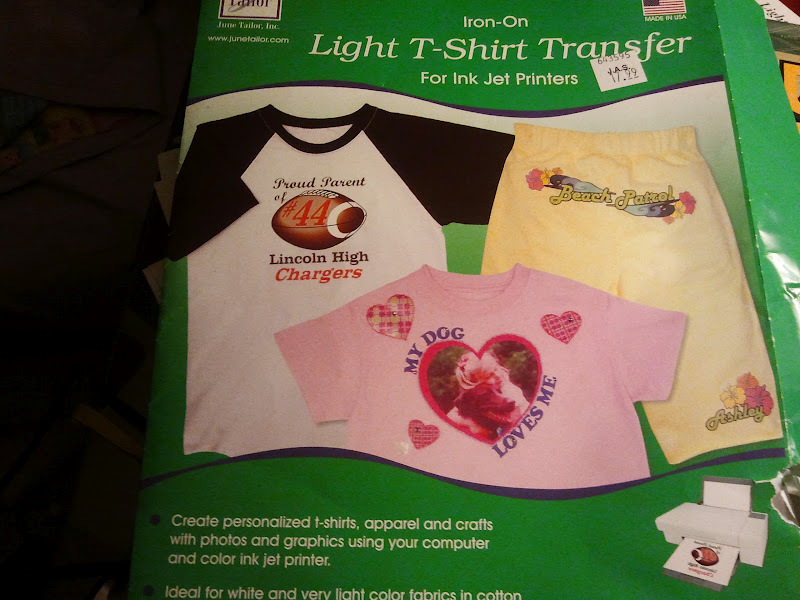 Be sure it says ink jet only to use ink jet. Be sure to feed it the way the instructions say to. Cut them out, leaving only a little extra around the type. If you leave too much paper around, you will get the transfer paper texture taking up too much of the white area, and it will look funky. 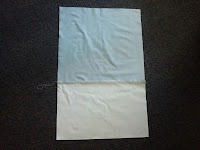 Cut two squares of the color fabric, about 2 inches longer than the pillow size. 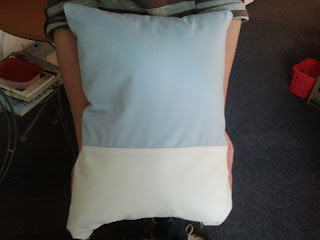 If you are using 12 x 16 pillows, we cut squares to be 16 inches high x 16 inches wide. 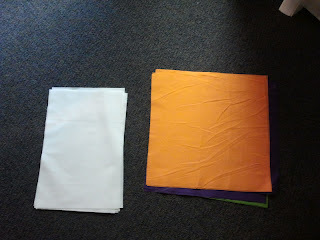 You want the color block to be about 10 inches high when sewn. 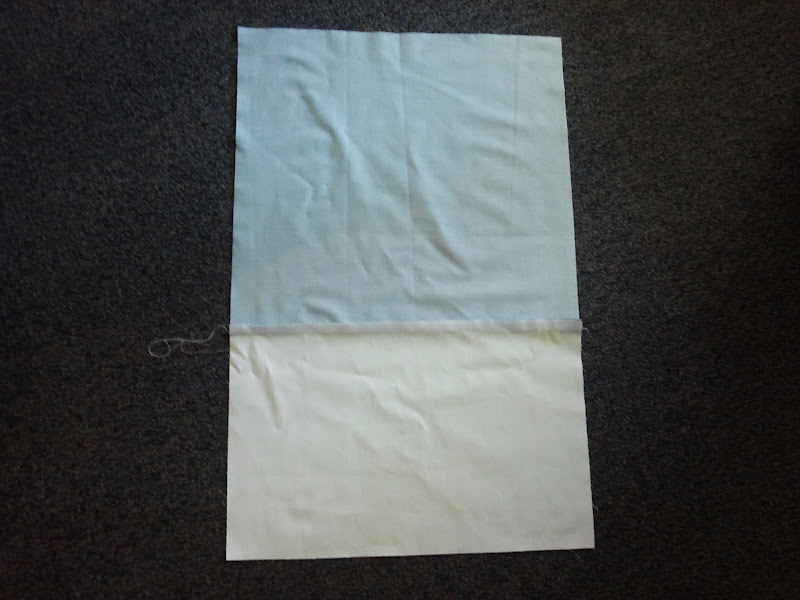 Cut rectangles of the white muslin, about 16 inches wide by 10 inches high. 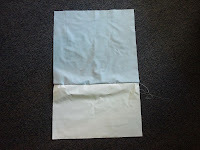 Now create two sides by sewing the white rectangle edge against the color block edge, right sides together. You will have two sides with a big color block and a white strip underneath. 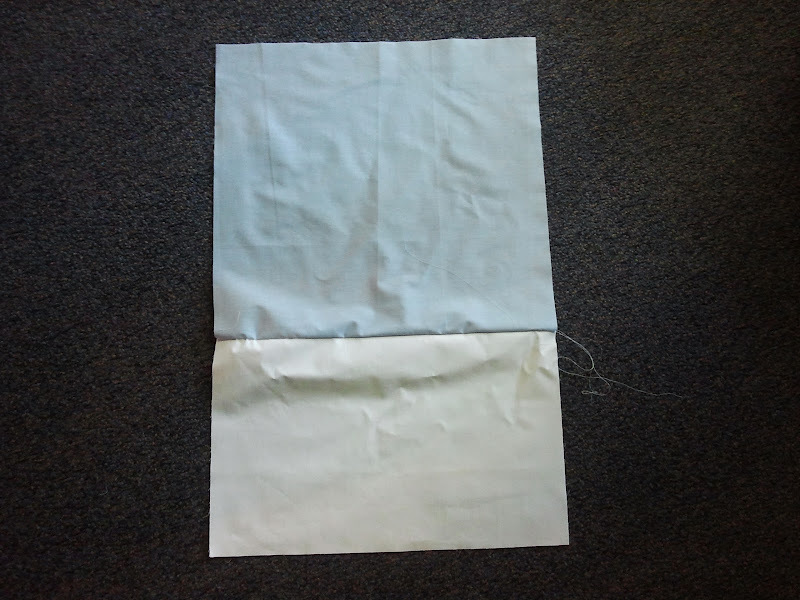 Lay the sides, right sides together, and stitch the sides and top together, leaving the bottom open. 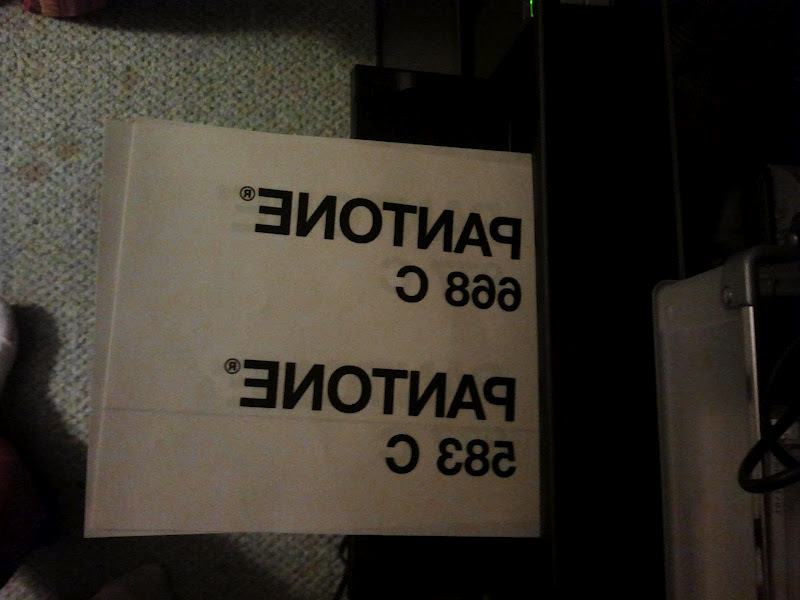 Turn them right side out, and iron them flat if necessary. Place the type block with ink jet side down about 1 inch from the white edge and 1 1/2" from the left. With a hot iron, rub the paper firmly for about 50 seconds, let the paper cool down for about 20 seconds, and then gently peel up. You will have the type nicely set in place. Stuff the pillow into the case. Now tuck edges in on the open end, and stitch the bottom closed by hand. Ta da! A Pantone chip pillow.